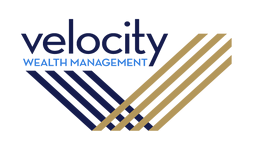 Velocity Wealth Management, LLC was founded upon the realization that traditional financial planning is flawed and thus is no longer working for the majority of Americans. We take great pride in our uncommon approach that allows our clients the ability to enjoy life today while having the flexibility to realize profits from investments, real estate, and business opportunities. Combining our uncommon strategies and proven techniques along with knowledgeable guidance from only the industry’s leading advisors across the nation allows our clients to truly have the velocity of their money work optimally. The goal is a better, less stressful life today, with a dramatically enhanced retirement lifestyle and legacy. Overall, we expect to provide unparalleled results for our clients and feel they should expect the same. We work with many different types of clientele, however, we specialize with Dentists, Medical Physicians, Pharmacists, Executives, and Pre-Retirees. Every year, we travel all across the country to teach at multiple universities, hospitals, and residency programs. We have also had the privilege of teaching multiple Fortune 500 company new hire classes. A specialist in these spaces, we are often called upon to assist and consult other advisors and their clients in these specific markets. If you would like to set up an introductory meeting or find out more information about who we are, what we do, or how we may be able to assist you, please send us an email or call our office at (480) 404-7523.